Contact Eric - YeastInfection.Org by Eric Bakker N.D. Still got questions related to candida yeast overgrowth but can’t find the answer on my blog? Here are ways to get in touch and get your question answered. 1. 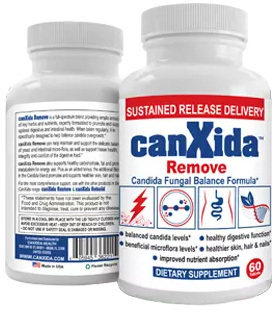 YouTube – This is the best way to get your question answered if you have any question related to candida and would like me to answer it then please post it in a related video on my youtube channel here Candida Crusher. This way if someone else has similar question they can find the answer useful without having to contact me. I answer 10 questions per week on YouTube, make sure to search my channel for answer before you post your question, there are thousands of videos on my youtube channel. 2. Email – I get a lot of emails on daily basis, on average I get about 50 questions a day, I have a practice here in NZ and I do a lot of online consultation which hardly gives me time to go through all the emails I get. I try my best to response but it is really not the best way to reach me. If you have really short question which I can answer in a line or two then try my youtube channel. I cannot help with your stool diagnosis unless otherwise it was done through me. 3. Consultation – For personalized treatment plan or to go through your whole health history and find out what is going on how to get back your health I recommend a 1 on 1 consultation. I offer face to face consultation if you are in NZ and I also offer Skype consultation which is now used by almost all of my patients as they can consult with me through the comfort of their home. To find more about consultation with me visit this page. I do my best to help you get your health back but understand that I get a lot of emails and it is hard to keep up with youtube questions, emails, consultations and other daily chores.